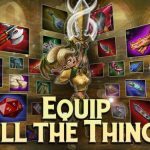 It’s been a while since we shared with you a DragonSoul strategy guide, but we’ve got another one for you, right on time for the recent update. 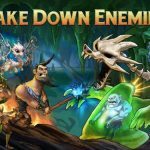 With DragonSoul now updated to version 2.0, you may be wondering how to deal with the two new features in the game, the Boss Pit and the Soulmart. 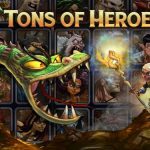 Yes, the addition of new heroes are a basic feature that’s worth spending some time on, but it’s those latter two features that truly add a new dynamic to the game. (Stay tuned, as we may soon be giving you a strategy guide focusing on the new heroes and the other changes to the game!) Just in case you forgot what DragonSoul is about, it’s a game where your goal is to save the “fearless” heroes of the in-game world from the evil dragon Umlaut, who has them trapped in Soulstones. Now, that we’ve given you a refresher of the game, let’s get down to business and touch on what we’ll be discussing in this DragonSoul strategy guide – a look at the all-new Boss Pit and Soulmart, and what you should do to make the most out of the new features. In DragonSoul, you’re only limited to fighting one boss at a time, with each boss having three stages of progressing difficulty. Also worth mentioning is the limit of one boss stage per day, for a total of three days to complete one Boss Fight, at the very least. You’ll have five tries for each stage, and if you fail in all of those five tries, everything is going to reset, thus allowing you to choose a new boss, or perhaps try with another Boss the next day. When defeating the bosses, keep in mind that their means of attack would be to launch enemies your way; as you beat more enemies, the boss’ health bar will go down. But here’s the thing – each enemy is only vulnerable to one specific type of damage. That’s a new element added to the game that adds a little twist to things, and believe us when we say that players have had some difficulty with this. There are some ways, though, to make those Boss Fights a little easier on you. When assigning fighters to Boss Fights, you should bring those who are sure to deal out a lot of damage; other fighters almost certainly won’t cut it. However, you might want to bring the Crimson Witch for a boost to attack speed, or the Healer, who can come in handy and restore your fighters to health while in battle. Five tries may sound like a lot of attempts in the Boss Pit, but those tries can be used up quite easily. To ensure yourself that you make the most of the stages, start playing at the most difficult setting, then work your way down until you’re able to beat the stage. If it’s any consolation, you will get some better rewards from the difficult stages. When it comes to the types of damage to use, you will, once again, need to choose the right one. If you’re finding yourself thrown off by this newly-added feature/mechanic, then join us as we explain what it is all about. There are different types of damage that would be required per stage – examples include Electric, Toxic, and Water, to name a few. But even if you’ve got a fighter that fits a certain type of damage required in a stage, you should also make sure that that fighter’s level is fairly close to your overall level. Otherwise, they’ll mostly be useless, barely able to do substantial damage; they may only drag your team down, so don’t bring them along. In other words, what you want to do here is to bring your highest-level heroes to all Boss Battles, while making sure that their damage type is, as much as possible, what is required. You don’t need to have all required types of damage; all you have to do is to destroy enough enemies to kill the boss, but not necessarily all the enemies. Now that the damage type mechanic has been introduced to DragonSoul, now may be the best time for you to take a good look at damage types and use those types as a basis when leveling up your heroes. You may have some heroes that were essentially afterthoughts on your lineup, but suddenly appear to have more potential now that type of damage has been introduced. Work on those upgrades on those “overlooked” heroes so that you’ll be ready for any type of Boss Battle. If you’re stumped as to which boss you should be fighting next, we would recommend taking into account how much loot you can potentially receive if you win the battle. You can view this by going to the Possible Rewards list corresponding to each boss, and go with the boss that has the items you require at that point in time. Again, we recommend beginning with the hardest mode and working yourself down until you’re able to beat the stage. The Soulmart is the second key feature added to DragonSoul with the version 2.0 update. You will need to convert extra stones from five-star heroes and above into the required currency for the Soulmart; each stone will be worth 100 currency stones, and though that doesn’t sound like much, that’s actually more valuable than having a couple thousand gold coins, which is what you’ll typically get from selling stones the conventional way. One thing, though – when converting stones for the Soulmart, they have to be for currency stones, and not for gold. Want more tips for this addicting PerBlue title? In the past we’ve shared several Dragonsoul strategy guides, including one that helps you unlocking every hero in the game. 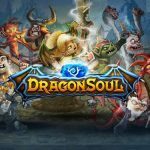 Click here for a complete list of our Dragonsoul tips, tricks and strategies, that covers different aspects of the game.